Singara Velane Deva from Konjum Salangai (1962). In her early years, her brilliant cover versions of Lata Mangeshkar’s songs on stage were quite the rage, and her rendering of Rasik Balama from Chori Chori (1956) was famous for those times. As I remember, her first movie as a playback singer in Tamil, Vidhiyin Vilayaattu unfortunately never saw the light of day. S Janaki sang her first song in Malayalam, Irul Moodukayo for the movie Minnunnathellaam Ponnalla (1957), composed by S N Ranganathan, which was a note-for-note rip-off of Hemant Kumar‘s Mera Dil ye Pukarey ! Post the release of this film, she managed to get a smattering of compositions from V Dakshinamoorthy and K Raghavan, but it was never a steady stream of work as it were, till Ninamaninja Kaalpadukal (1963) and MS Baburaj happened ! When M S Baburaj chose her for his melodies, they formed a natural team that kept churning out hits after hits. There is a third angle too to this team – P Bhaskaran. And most of the hits were from this trio. Out of the 576 film songs that MS Baburaj composed, 128 were sung by S Janaki and 94 of them were solos. Amongst the lyricists, she lent her voice to 235 songs penned by P Bhaskaran ( the highest ). The beginning of their collaboration was a quite auspicious one, so to speak, with a Meera Bhajan – Mein tho Ghungroo, for Ninamaninja Kaalpaadukal (1963), quite profound, when you think about it, as MSB’s compositions always had this almost simplistic Hindustani leanings for most, and a full blown Meera bhajan was quite a brave foot forward for the 60’s. I believe it was Thaliritta Kinakkal from Moodupadam (1963) that shot S Janaki to popularity in Malayalam. If you take the first 10 popular songs ever in Malayalam movies, this song would definitely be there in the first 5 for sure. It was the combination of geniuses that made this song so popular. P Bhaskaran with his simple lyrics, yet poetic with M S Baburaj’s soul stirring composition and S Janaki’s magical voice which imbibed the true meaning of the song with her finer nuances. There are quite a few songs in the same genre. I can never say which one is my favorite. Oru Kochu Swapnathin from Tharavattamma, Vaasantha Panjami naalil from Bhargavi Nilayam, Anjana Kannezhuthi from Thacholi Othenan are those that come to mind first, and the best part is all these songs were penned by the one and only P Bhaskaran. The true feeling of longing (pining) for one’s loved one runs through all these songs. And they have a haunting quality. I have always felt, like in up North, where Madanmohan always reserved his best songs for Lata Mangeshkar, M S Baburaj too reserved all his classic songs for S Janaki. Romancing the onscreen gods of Malayalam. I think we should start with Thaane thirinjum from Ambalapravu (1970). Here the poet compares the moon to a lover who is tossing and turning in her bed in a sleepless night – one of the best romantic numbers ever ! The rest come in a torrent – Avidunnen gaanam kelkkaan and En Praananayakane from Pareeksha (1968), Swarna valakalitta from Lakshaprabhu (1968), Aaraadhikayude from Manaswini (1968), Vaarmazhavillinte from Raathrivandi (1971), Kavilathe kanneer kandu from Anweshichu kandethiyilla (1967), the list is never ending. Appeasing the real Gods in Malayalam films. Though his songs are generally based on Hindustani raagas, one song he composed in a typical Carnatic style is a devotional – Vaakachaarthu kazhinjoru from Iruttinte aathmaavu (1967) ! To my knowledge ( and delight, of course ), some of the best devotionals in Malayalam movies are by this trio – Thaamarakumbilallo and Paavananaam from Anweshichu kandethiyilla (1967). In Paavananaam attidaya, MS Baburaj proved that even in the church bells there is music. Maybe he was the first to use church bells in the BGM. Iru kanneer thullikal and Eeranuduthu kondambaram – both from Iruttinte aathmaavu (1967 ) could be rated amongst the best in sad songs Malayalam film playback has ever produced. Iruttinte Aathmaavu (1967) also has the rare fete of all the 4 songs sung by one person – S Janaki. Pottithakarnna from Bhargaveenilayam, Idakkonnu chirichum from Olavum Theeravum are just a few to name. The Duets of S Janaki in Malayalam films. Coming to some beautiful duets out of the S Janaki – MS Baburaj collaboration, we have Poovukal chirichu from Rathri vandi (1971), Ezhuthiyathaaranaanu Sujatha from Udyogastha (1967) that occupy pride of place in my selection. A quick runthrough the gamut of emotions that S Janaki brought alive for the onscreen queens, makes one realise how the numbers increase manifold each time another sonic gem or a musical note that had hitherto left unexplored in one’s usual lisening chores in discovered. The above was just a quick run through, at the risk of repeating myself again, of my favorites from the trio S Janaki – P Bhaskaran and M S Baburaj. Which are yours ? Do write in. Previous PostThe Unsound Mind in Malayalam CinemaNext PostAt last, a sequel to Nadodikkattu, featuring an exciting guest role. In the tamil movie MUTHU, starring Rajnikanth, there is short clip of a malayalam song by S Janakiamma, to be more precise I could state the scene, wherein ‘the actress pays for the breakfast with her necklace and ring in a tea stall’, I couldnt find the song, it is very short and feebly heard. Cud anyone help this out…. നല്ല ലേഖനം വിജൂ.. ഇവിടെ പറഞ്ഞ എല്ലാ ഗാനങ്ങളും എന്റെം ഇഷ്ട ഗാനങ്ങളാണ്. Thanks Vasanthy for passing by. Glad you liked the article. Please visit us often. just came across a comment about pratap singh the music director of mulkireedam . he is resident of thrissur and recently released a book. i had the opportunity of seeing him at a function once .here are a few links . Thanks a lot Dr. Krishnadas for passing by and thanks for the link from The Hindu. I happen to read some of his comments on his songs and experiences in one of the forums where we both were members and he happens to be a very down to earth person. He did mention about having met S Janaki years later in one of the functions and I believe SJ wanted to meet him personally. He could not believe that SJ still remembered him after so many years as she had only sang one song for him. Dear Mr.Viju,hope you go through the history of P.B-Baburaj-S.J combination posted by yourself in which I have also posted certain comments.Of late no lines of yourself are not seen.Have you switched over to any other venture regarding another combination like S.Janaki with variou c.omposers or so? Anyway your profile was so informative.Please keep the momentum. Ravi.C.V. Ambalapara, Ottapalam. Dear G.K. This is in continuation to my previous one.The Onam song I mentioned is PANKAJA DALA NAYANE or so.If you have video of PAAVANGAL PENNUNGAL, would you please advise how to get it? Please respond . Ravi.C.V. Dear G.K.my respect towards you is getting momentum,especially knowing you are only 29.Initially I was also thinking that the existence of music depends on movies. Gradually I had to change this approach.For example, song Shakhanagarathil of KAATHIRUNNA NIMISHAM was the only thing which tempted to see that film.But once I saw it screen, I didn’t help closing eyes not able to see Kamalahasan and Soman with a 90 year old lady. But I saw that film so many times closing eyes at the above song scene. I had bitter experience so many times. Anuragame of Hello Darling, Aj hoon na aaye baalma of Sanj Savera only etc. are only a few of this type.But, still enjoy Hridayam Devalayam,Brahmamuhoorthathil,Poovalla poonthaliralla,etc. of films which haven’t been released. I take the freedom of an elder brother. If you can help me in getting an Onam song of 1969 film VAZHIPIZHACHA SANTHATHI it will be a real boon since I am in search of this for a very long period. Please try for me.Ravi.C.V,Ambalapara, Ottapalam. Just a small information. K.V.Mahadevan have chances to S.J. in KAKKA and PIRIYILLA NAAM the songs being Manavalan Para and ORU KUDAM KULIRUM respectively. Sometimes Pukazhendi may be the person behind this,not sure though. Ravi.C.V.Ambalapara, Ottapalam. Dear Mr.G.K.Navajeevan,I don’t get apt words to admire your way of c learing doubts. Well,I had been always a branch circulator without remaining steady in one field. I am equally interested in Tamil and Hindi films and songs. What I scribble are only from memory,which is rather vague. That is the main reason for my doubts.Anyway God showed me people of your calibre and great persons like Mr.Viju, Mr. Sajith etc.Now I have to trouble you again.Please inform whether the song KANAKA SWAPNA DALANGAL VIDARUM appears in film Mulkkireedam composer by Pradeep Singh.Could you advise a site from which I can download the duet of Balyaprathignya? Kindly bear with me to raise one more doubt.In my vague memory the name PURUSHARATHNAM and then renamed BAALYAPRATHIGNYA. This is not an argument but a doubt remover. Let me thank Viju and Sajith who also show keen ardour in this regard.Please expect some more from me. May I take liberty to address you G.K? I am 59. Music is my only hobby.Ravi.C.V. Ambalapara, OTTAPALAM. yes.. you can call me G K.. but i am only 29 years.. still a student… not settled in life yet.. i am not a Malayalam song lover or collector.. i love to watch songs as a part of movies. i am a movie lover.. i always put movies ahead of songs because its only because of movies we are getting songs..
i dont have MULKIREEDOM movie with me now.. so i cant help you now in that matter..
Dear Mr.Viju,Mr. 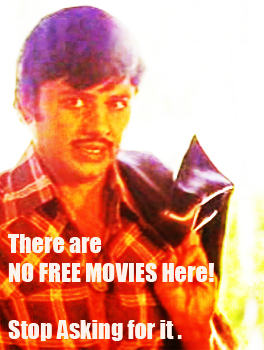 Sajith, during early 1970s,a film BAALYA PRATHIGNYA was released. Initially the name was PURUSHARATHNAM and renamed thereafter. Music department was by P.Bhaskaran Master and K.K.ANTONY who was from drama field I think. A I R broadcast two humorous songs of the film one a parody of Pottatha Ponnin Kinavu Kondoru and the other one being PETTU VALAYIK PETTU MANNAATHI .There is a sweet duet by Jesudas and S.Janaki which was not broadcast by AIR often. Could trace out this song from some source? I don’t remember the first line but it is ending with SUHAASAM. Would you try for this? If succeeds,I will be the happiest man. Haven’t I got that freedom with you? Please post feedback in due course. Ravi.C.V, Ambalapara, OTTAPALAM. the song you mentioned was SURAVANA RAMANIKAL THAN SUHAASAM.. AMARAKULANGALCHIRIKKUM PRAKASAM… this film was released after sathyan master’s death and title then changed to PURUSHA RATNAM (earlier the film was titled as BALYA PRATHINJA) it was a commercial flop and this song was picturised on sathyan and sheela.. The most ignored song may be PANCHAVADIYIL PANDUPANDORU PANCHAVARNA PULLIMAN Of Pazhassi Rajacomposed by R.K.Sekhar. Ravi. C.V. Ambalapara, Ottapalam. This may not come under the purview of this site.But lots of music lovers visit this. Today, in the programme’Peythu Thoratha Paattukal’,it was said that the song KIZHAKKE MALAYILE of film LORA NEE EVIDE, is a product of Vayalar-K.Raghavan team. In fact, the composer is BABURAJ. Mistake thereof may that the film was directed by A.RAGHUNATH, even though it’s a Kunchako film. I think I am justified in this regard. Ravi.C.V. Ambalapara, Ottapalam. Message contd….Some interesting bits. Babukka ignored SJ once the lyrics are by Vayalar. AGNIPUTHRI and ANARKALI are few egs. It’s painful to me that persons of Viju’s and Sajith’s calibre didn’t comment on ONNINGU VANNENKIL of Thacholi Othenan of which scene is missing in film but AIR record had been released.Kindly think of this.Another song I had mentioned was PARAAGA SURABHILA KUNKUMAMANIYUM of AALMARAM.For the sake of argument one can say the composer is A.T.UMMER,but it’s a P.B-SJ song. I didn’t expect an article will result in so many informations. Thanks to all behind this. Ravi C.V. Ambalapara, Ottapalam. Dear or dearest rather,Viju and Sajith,it’s only just now that I came across certain doubts between you.If I am not mistaken, one more song is there in MULKKIREEDAM sung by SJ ie. KANAKA SWAPNADALANGAL VIRIYUM KADALEE SUMAVANA KANYAKA NJAN.If this doesn’t belong to that film,corrections are welcome. A small correction to Mr.Sajith, the THAMBI SONG of Mulkkireedam is KOOKATHA POONKUYILE and not PAADATHA. I remember one more song by THAMBI in the same film PAATHAYIL PRAKASAMAAY a Christian d Ievotional song. In this case I am about 80% sure. Regarding Pradeep Singh, I am not authority to comment, but from certain source it’s known that his actual name is Prathapan and Singh is added as applicable to a certain caste or so.Professionally he opted to be Pradeep Singh.We can find so many pure MALAYALEES who’s names end with Singh in Palakkad District.These informations will have to be got confirmed.Anyway it’s dead sure that he is the composer of this film and not BABUKKA.Message contd… Ravi.C.V. Ambalapara. OTP. Thanks for the correction. I remember the song. I am also happy that you are going in depth in the subject. Do write on your thoughts and it will really be refreshing to all like minded persons. Dear Viju Sir,I can’t help addressing you so,you have accomplished a great task already but you are capable of bringing so many valuable informations for music lovers.Why can’t you move on to some famous teams such as Vayalar-Devarajan, S.Thambi-M.K.Arjunan, Sailedra-Shanker Jaikishan,and so on irrespective of language? Such a an endeavour will be ideal. You may be having busy schedule,but just think of this. Ravi.C.V,Ambalapara, Ottapalam. Thanks for taking such keen interest in the article. Really appreciate it. Thanks for the suggestions. It’s all in works and will publish it when time permits. Thanks again. Some more informations eonnected to SJ 1.B.A.Chidambaranath,father of Rajamani utilised voice of SJ successfully in so many films such as MUEAPPENNU,PAKALKKINAVU,KAYAMKULAM KOCHUNNI, RAJAMALLY etc.etc.Raghavan Master composed SANDHYAMEGHAM VANIL THOOKI of film ANANTHASAYANAM in Western style only using violin.In the form of a duet,Shyam used skill of SJ in MANYASREE VISHAMITHRAN, song KANAVU NEYTHORU with Bramhanandan.In film CID IN JUNGLE the debutant composer Bhagyanathan gave us a melodious song THENNELE THENNALE POOMTHENNALE by SJ and JESUDAS.Unfortunately this happened to be the first and last of the composer.Who ean forget THUSHARABINDUKKALE of AALINGANAM by A T UMMER though it is known that the astual composer es KANNUR RAJAAN. Let me stop here..In case these infomations are new to anybody.my mission is over. Ravi.C.V. Ambalapara, OTTAPALAM. Well,going through the various comments,I can’t help raising some observations. It’s a paradox that D.Moorthi Swamy who introduced P.Suseela,preferred SJ thereafter. Govardhanagiri of MARUNATTIL ORU MALAYALI, VALAMPIRI SANKHIL of MAYA etc.will speak further. Though commencing from KANAN NALLA KINAVUKAL of BHARYA to POOMANI MARANTE KOVILIL of MINDAPPENNU,Janaki put her dedication in full for Devarajan Master he didn’t give her much chances for unknown reasons.But for Baburaj, B.A.Chidambaranath,Raghavan Master, A.T.Ummer and Shyam,SJ would have been somebody who requires introduction in Malayalam. Let us salute the above c omposers also. The most interesting thing is that it was nobody else but Devarajan Master who created the Janaki-Yesudas pair in film ANNA with the song ARUVEE THENARUVEE but this pair got recognized by o ther composers. After that inauguration, Devarajan Master used this pair only once in PRABHATHAGOPURAVATHIK of THULABHARAM.Paragasurabhila of Aalmaram remained ignored. Ravi.C.V. Ottapalam. thanks so much for this post: it brought back so many beautiful memories: oru kochu swapnathin, en prana nayagane and many others. i watched a program where she spoke about the different composers she worked with. there was an anecdote where she talked about rehearsing for salil chowdhury’s “shaarike en shaarike” – and how he had arranged the percussion so that the word “maadala poo” sounded like “maddalla poo” and she had to gently tell him about this! agree with you gopalakrishnan navjeevan: i think people have a right to accept or reject awards as they deem fit. This is in reply to Jayasree Madam. Let me point out what you read or heard about SINGARAVELANE is true to a certain extent.In fact P.Leela didn’t say she can’t sing it. As known to all, P.Leela is capable of singing songs of any range.Moreover S.M.Subbaya Naidu,the composer was very particular in selecting apt singers for his songs. If Leela was unable so recite in high pitch she could have requested to reduce the pitch to a smaller level I mean pitch of Nadaswaram.The Nadaswaram player Karaikkudi Arunachalam,would have cLomplied with.Leela just sacrificed the opportunity for the sake of an unestablished girl at that period,stating that sharp voice of SJ will be more ideal.This is just to clear the doubts of so many people. Interest shown by Jayasri Madam has to be appreciated. Hats off to Mr.Viji for entering the music research arena. Ravi.C.V. Ambalapara, Ottapalam. Thanks Ravi Cv for the interesting input. Nice to see Viju’s write up initiating a very lively discussion. Thanks Viju for writing about my favourite music team of all times. For a person who grew up basking in the melodies created by the trio,it took years to realize that it was SJ,PB and MSB who gave me all that wonderful music. You have brought out many of the highlights of the team which the listener would have perhaps missed to pinpoint while getting carried away by the heavenly music. May be you can continue with one more edition of S.Janaki songs which could include more music directors for whom she was the first choice. Have you noticed that the same S.Janaki who sang for the simple village belle could also sing with much ease those songs which demanded a great degree of coquettishness? Even a brief study of S.Janaki songs will run to pages,isn’t it? Forgot to mention this.I had read somewhere that P.Leela declined the konjum shilangai song quoting the reason that she was unable to sing the high pitched song and then recommended S.Janaki because P.Leela was aware of her voice range. Yes!! Even I had read it!! Glad you brought it up. Thanks a ton!! Thanks a ton Chechi.. for your valuable comments. Dear Viju,keen interested to go deep in the depth of music has to be admired.To put forth a suggestion is easy but difficult to accomplish.Even then,I expect more from you about some more teams such as Vayalar-Devarajan-P.Suseela or similar type. You are capable of doing it.Needn’t be the team I mentioned. By the way, composer of SINGARAVELANE is S.M.Subbayya Naidu and not A.M. Kindly take such in the positive sense and not criticism. Expect many from you. Ravi.C.V. Ambalapara,Ottapalam. Thanks for the correction!! it was a typo error!! Let me point out couple of mistakes occurred overall by various persons. 1.Song Neelajalasayathil belongs to AMGEEKARAM and not AALINGANAM as posted. 2. Song Vakacharthu kazhinjoru has been composed in Raga AARABHI and this is not the only song in Carnatic by Baburaj. AKALE AKALE NEELAKASAM[ Charukesi] PRAMADAVANATHIL VACHEN [ DEVAGANDHARAM ] KOTTUM NJAN KETTILLA [ Sankarabharanam ] and a few more. Ravi.C.V. Ambalapara, Ottapalam. Thank you for your response, but I havent categorically mentioned ANYWHERE that it is the ONLY song composed in Carnatic by MSB. What I said is this “Though his songs are generally based on Hindustani raagas, one song he composed in a typical Carnatic style is a devotional – Vaakachaarthu kazhinjoru from Iruttinte aathmaavu (1967) !” It clearly means that in a marked departure of his usual style in composing in Hindustani, he went ahead and composed one based on a carnatic raga, which is a devotional. It never says “Though his songs are generally based on Hindustani raagas, THE ONLY song he composed in a typical Carnatic style is a devotional – Vaakachaarthu kazhinjoru from Iruttinte aathmaavu (1967) !Hope this clarifies. Thanks again. Dear Mr.Gopalakrishnan,Navajeevan,your statement was interesting. When you raise a bold comment,no need of being afraid of somebody who opposes it. 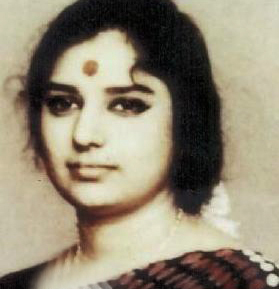 To be honest,among thousands of songs of Lata,only 10 or 15 have influenced me,that too,those of Chitragupt,Ramlal, Khayyam etc.If any fans of Lataji comes across this,my scalp will be the first to go. I appreciate your audacity. Ravi.C.V. Ambalapara,Ottapalam. enikku parayanullathu ANJANAM ENNATHU NJAN ARIYUM… MANJALU POLE VELUTHIRIKKUM…. ithaanu ippol ente manssil thonniya kaaryam… VIJU enna namushyan… ayal ee article il parayaan udesichathu S JANAKI – BABUKKA – BHASKARAN master trio hits and chemistry aanennu enikku manassilaakunnu.. but comments kandappol enikku thonniya kaaryam… VIJU enthokke ozhivaakki.. vital songs ellam ozhivaakki e article post cheythu ennu mattullavarkku oru FEELING ulla pole undu… aareyum kuttam parayunnathalla.. very sad to say that…. viju ee matteril ulkollicha kaaryangale point out cheythu comments parayunnathalle nallathu.. bhaskaran – janaki – babukka.. trios hits parayumbol enthina veruthe k ragavanum, dakhinamurthyum, usha khannayum…. personally speaking janakiyude songs kelkkan aagrahamillatha aalanu njan.. still i appreciate her talent.. and viju’s effort in sharing his thoughts abt janaki and her asso ciations with bhaskaran master and babukka.. i am sure viju must be upset over some of the comments posted here.. ee vijuvine enikkariyaam.. aake oru thavana maathrame kandittullenkilum… pazhaya cinemakalodulla interest aanu njangale friends aakkiyathu.. i repeat OLD CINEMAS.. not songs… ie why i am posting such a comment here.. aarokke enthokke comment cheyyanam ennu njan aareyum padippikkuka alla… dont consider my opinion in such a way.. i just shared my thoughts here.. Thanks GK for posting your valuable comments..I am glad you saw the point …. Thanks for all the support!! Dear Mr.Viju,even after your comment, I think I am justified. ONNINGU VANNENKIL of Thacholi Othenan has been created by this trio.Would you please take up this to AIR to broadcast this? ANURAGA MADHUCHASHAKAM of Bhargavi Nilayam, also didn’t receive the recognition it deserved. No words to appreciate your endeavour.Thanks to Anil Desamangalam who shared this link. Ravi.C.V. Ambalapara. Ottapalam. Thanks Regi for your valuable comments…Every song mentioned in your list is my favorite too. This record was very popular at that time and these songs subsequently appeared in the cassettes titled Hits of S Janaki in the 70s. You may be knowing it. Five songs in the above list were composed by M S Baburaj. Two by M B Sreenivasan and one each from K Raghavan, V Dakshinamoorthy, B A Chidambaranath, T K Pukazhenthy and Usha Khanna. The selection of the above songs also missed at least one song from A T Ummer and R K Sekhar who composed a few good songs of S Janaki. It is very curious to note that even a single song composed by G Devarajan appeared in this list? Who can just forget the beautiful Devarajan melodies like Devakumara Devakumara (Film Tilottama), Maanathu Vennilaavu Marajuvallo (Film Kalithozhan), Matal poongaavanathil (Film Kalyana Raatriyil ), Chandrodayathile (Film Yakshi), Kaliyodam Kaliyodam (Film Kaliyodam), Poomani maarante (Film Minda Pennu). It is a fact unknown to me why Devarajan choose P Susheela and P Madhuri for most of his songs. In the nineties, Compact Discs appeared and in the year 1998 HMV released its first disc of S Janaki Hits (Digitally re mastered in Wav format with 21 songs). The price of the CD was Rs. 275! In the list of songs, HMV added the above 12 songs and added 9 more which included Vaidoorya Ratna Maala Choodi from the film Pullimaan composed by M S Baburaj. M S Baburaj was so fond of the voice of S Janaki like Madanmohan or Salil Chowdhury addicted to Lata Mangeshkar. S Janaki was the favourite of M B Sreenivasan, V Dakshinamoorthy, A T Ummer, K Raghavan, T K Pukazhenthy and R K Sekhar. Still I feel that all music directors composed for S Janaki and they all are very good songs. Some lavishly adored with their compositions but other a little bit choosy. Any information whether relevant to the topic or not is welcome… I am only too happy to see all the comments coming by. Have made a note of each and every comment. Specially when it’s about someone like S Janaki!!! Please do not mistake me. There is one song of S Janaki that I have been itching to write, but couldn’t find a place. Its Kulikazhinju Kodi Maattiya …. from the movie Mulkireedam… When I first heard it without knowing the details, had come to the conclusion that its by P Bhaskaran and M S Baburaj… But to my utter surprise, the lyricist was P Bhaskaran, but music by Prathap Singh/Pradeep Singh. How can such a great musician go unnoticed? Prathap Singh had done only 3 films, Mulkireedam,Muthu and Yakshikaavu!! Out of which Yakshikaavu is an unreleased movie. Once I believe when S Janaki saw him in a function and she was so busy, took time to go and meet him personally. Actually Prathap Singh was not expecting her to meet him. When asked she remembered him, said how can she ever forget someone who has composed Kulikazhinju…. Please do write in your thoughts. I’m only too happy that there are people who still value our Golden Melodies….. The song Kulikazhinju is a beautifully composed song. This song was a favourite of the AIR and i know the song right from childhood days. Shri Kiran Ravindran in his book Malayala Cinema Pinnani Gana Charitram ( Translated by Rajendran Cherupoyka, State Institute of Languages Kerala 2011) has given a note on Mr. Singh. In the book it is written as Pratap Singh and he is also refered by the AIR announcers and others as Pradeep Singh.I have the record of the film Muthu and shall verify it and inform you what exactly his name is. A native of Cherai, Earnakulam, Pratap Singh composed for the film Mulkireedam in the year 1967. There is another good song … Paadaatha Poonguyile in the same film sung by Thampi. Vimooka Sokha Smrithikal, Bhoogolam Oru Smashaanam and Aakaasha Taazhvara Kaatee are some of the few good melodies Mr Singh composed for the film Muthu. You may be knowing it. What an ethereal voice of Janaki Amma!!! She is blessed with a voice which takes you to another world …Hats off to Babukka to create such melodious music which drives you into an ocean of grief and happiness at the same time…Thumbs up to Bhaskaran master for the mesmerizing and simple lyrics which really reaches a layman’s heart very easily…Kudos to the Trinity compositions…Beautifully written Vijuetta!!! Thanks Komalam. Glad you liked it…. The comprehensive profile has however put into trouble. Song paraaga surabhila kumkumamaniyum of AALMARAM by A.T.Ummer,Etho sundara swapnangal nukarum of ANAADHA by the magical trio were rather ignored by us for unknown reasons. Further, there is a viraha song ONNINGU VANNENKIL in Thacholi Othenan the trio again behind.Interestingly this song is absent in the film but Grammaphone record with All India Radio and they played this couple of times during 1965.I would rather add Unaroo Vegam nee,Maanathu vennilavu mayangiyallo[ this time it’s Devarajan Master].film KALITHOZHAN. The list of ignored will be as long as the favourites’ list and so I don’t elongate further. What I mean is that some songs are lucky enough to attain popularity. Hats off to the person for giving an opportunity to take me to the golden past. One more to such songs ABHINAVA JEEVITHA NAADAKATHIL of Poymukhangal by Dakshinamoorthy. Of among the songs in the profile, the best is EERANUDUTHUM KONDU. Ravi.C.V. Thanks Ravi for your valuable comments. I have only taken my favorites written by P Bhaskaran, Composed by M S Baburaj and sung by S Janaki. Thats the only reason why other composers are not featuring here. If I have to take all the composers, then maybe will have to put up many more pages. a good article abt the trio of Malayalam film music.. you know viju.. i am a fan of hindustaani tunes of BABUKKA.. i love the film maker in bhaskaran master.. BUT JANAKI was never my favorite singer.. and i have told this many times to you.. (i know malayalam audio songs lovers will kill me).. but the babukka – janaki team has provided many valuable song to malayalam films.. and i respect her decision NOT TO RECEIVE PADMA award… very happy to see that you have included 2 songs from my you tube channel in this article.. i am extremely sorry for not able to provide the video of ORU KOCHU SWAONATHIN song from THARAVATTAMMA.. it was picturised on SHEELA and SATHYAN master by BHASKARAN master.. i had its video thanks to ASIANET.. somehow i lost it later..
anyway… you have taken good intervals between each of your articles and all these breaks help you to write more QUALITY works… keep it up viju bhai.. Thanks GK for passing by. Glad you liked it!! Thanks Remitha for the valuable comments. Yes the other 2 SJ numbers are my favorites too. But since they are by Usha Khanna and K Raghavan haven’t mentioned here. I have just tried to compile my favorites by the 3 legends..
Babukka- Bhaskaran Maash- Janakiyamma – what a trio! enough can never be said about them. i am sure the songs you have mentioned are in every malayali’s list of favorite songs. though i typically prefer to listen to songs in a male voice, some of Janakiyamma’s numbers cross the gender barrier:) and well, you have already mentioned my top 4 SJ numbers: vasantha panchami, anjanakkannezhuthi, avidunnen ganam, oru kochu swapnathin. my favs seem to be the viraham drenched numbers:) i’d add two more to my fav list : manasa mani venuvil from moodalmanju and manjani poonilavil. thank you for this lovely post!